This morning, we mentioned that the DROID RAZR M soak test had begun through Motorola and that it was indeed Jelly Bean (Android 4.1). 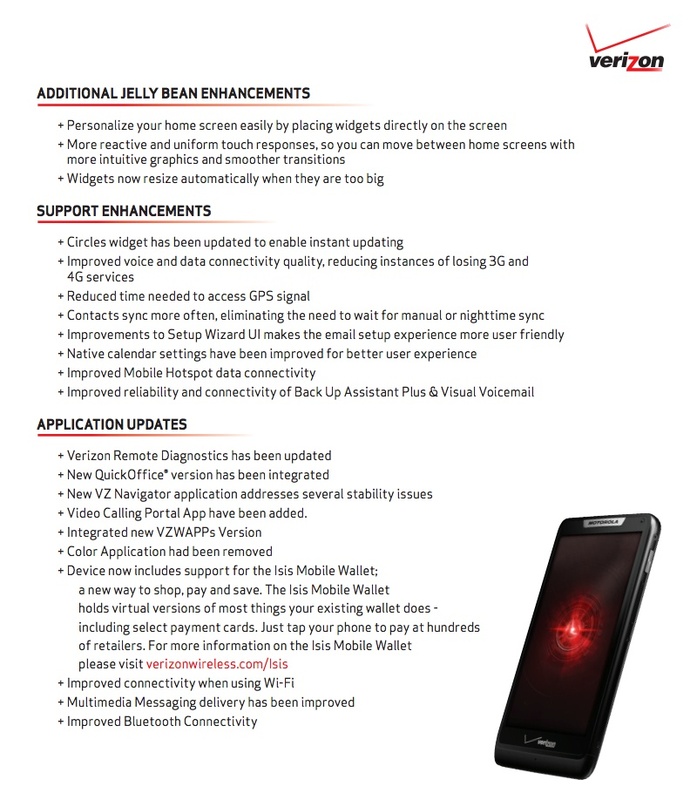 Moments ago, Verizon also approved the update as build 98.12.4, which means it should start rolling out to all RAZR M owners over the next week or so. In fact, Verizon says it will start rolling out today, “in phases.” Typically when we see these support docs go live, the update arrives in no time. 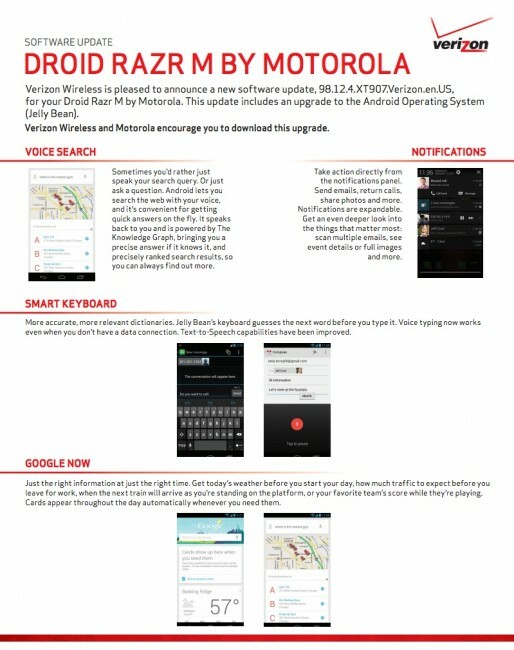 The update includes all of the goodies we have come to expect from Jelly Bean. You get advanced notifications, Google Now, better Voice Search, a smarter keyboard, easier-to-manage widgets, and a performance boost from Project Butter. Motorola also upgraded the camera software to make it much quicker, improved voice and data connectivity, and sped up GPS signal detection and Mobile Hotspot. Verizon tossed in their Remote Diagnostics Tool, a new VZ Navigator app, removed Color, brought in support for Isis Mobile Wallet, and strengthened Bluetooth connectivity. As you can see, it’s a major update. The update is 254MB in size. Official Predators Game Hits Google Play, Where Has This Been My Whole Life?